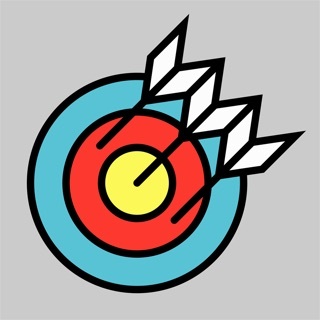 Arrow Tracer is an archery score card tracking application for the iPhone. It has a simple clean interface, allowing easy round creation and score input. • Score card colour – Arrow Tracer highlights score cards by the average score colour of your round, personal bests are displayed in purple. This gives you a quick overview of how you have scored compared to previous rounds. • Round Library – Arrow Tracer’s round library provides a quick way of adding rounds to your application. The Library will continue to evolve over time with more rounds from more organisations being added. • Custom Rounds – If the round you want to shoot is not in Arrow Tracers Library you can create a custom round to shoot. • Multiple Bow Tracking – Arrow Tracer allows you to track multiple bows of different types. If you change equipment on your bow create a new bow in Arrow Tracer to see how your change effects your results thus allows you to make informed choices on your equipment. • Personal bests – Arrow Tracer tracks personal bests for bows and rounds. • Location Tracking - Arrow Tracer tracks where your score cards are shot. You can displays this information on a map for reference. • Share you Score Cards - Export Score cards via Email and save as PDF. Beginning archer and I really appreciated how quick and easy it was to score with this app. Able to look up a huge variety of rounds, share through pdf output, and I love the clean bright user interface. Well done. Maintains multiple bows and sight settings for your distances. Awesome.